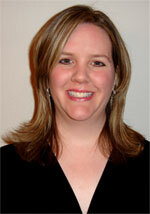 AAHE is proud to present the 2009 Will Rogers Institute Fellowship to Karissa D. Horton. Ms. Horton is currently a doctoral candidate in Behavioral Health at the University of Texas at Austin. Ms. Horton’s previous degrees, Master of Arts in Health Education and Bachelor of Science in Kinesiology were also earned at the University of Texas at Austin. She is serving as a Graduate Research Assistant on Vocational Student Tobacco Use funded by the National Cancer Institute at the University.